To those who are quick to chide Eastern medical practices like acupuncture, the techniques are often mystifying. And it's certainly understandable that inserting a bunch of needles into somebody might seem odd to some people, especially considering its common use to relieve pain, not inflict it. Critics like to claim (incorrectly, mind you) that there's no scientific basis for much of Eastern medicine, and that allopathic Western approaches are clearly superior for their trial-proven merits. But, examining these attitudes and claims is another topic for another post or seven. For today, I'd like to talk a little about a strong correlation between acupuncture and a particular mainstream Western practice. A lot of people are surprised to learn about it. In Western medicine, there are these things called “trigger points.” For some time now, health care providers have stimulated trigger points with electrical impulses and dry needles to relieve myofascial and visceral pain. This method of treatment, which has been in use since the early 1980s, has its roots in a concept dating back to 1843. As it turns out, a few studies have confirmed an astonishingly high rate of correspondence between Western trigger points and acupuncture points. 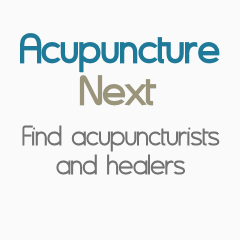 In fact, in the most recent study, 92 percent of 255 accepted trigger points had anatomically corresponding acupuncture points. For the purposes of this study, “corresponding” meant within 2 cm of each other and entering the same muscle. Trigger point therapy is an accepted practice in contemporary Western medicine. Its primary indication is as a remedy for myofascial and visceral pain. “Myofascial pain” refers to pain originating in the fascia, or the soft tissue part of connective tissue between muscles. Myofascial restriction causes referred pain, or pain manifesting in a different but related area. “Visceral pain” stems from the viscera, or internal organs. Trigger points have been identified all over the body. Brief, intense stimulation of trigger points releases myofascial restrictions. This in turn leads to immediate and often prolonged (sometimes permanent) pain relief. As healing practices, trigger point therapy and acupuncture developed independently of each other. That doesn't mean their striking similarities are coincidental; rather, it confirms the value of each approach. Acupuncture, of course, came first, predating the trigger points concept by something like 4,000 years. Stimulation of trigger points is a powerful tool for improved health and wellness. I use it often during a treatment when treating pain. It does much more than relieve certain pains. Myofascial restrictions inhibit the body's ability to heal itself; release through needling is a potent remedy that promotes efficient, natural healing. Many patients are surprised to find that by treating a trigger point on their shoulder I can help (for example) anxiety or digestive problems. Acupuncture recognizes hundreds more points than Western trigger point therapy, too. These additional points along the body's meridians provide treatment for lots of other conditions and offer a calming effect on the body and mind. With these extra points and by looking at health with a holistic attitude, the insertion of needles can be seen to releive so many chronic conditions that tend to frustrate allopathic practitioners. Stress and anxiety disorders, chronic pain, chronic fatigue, insomnia, overactive allergic responses, and a variety of other problems can be successfully managed or resolved through acupuncture.